Multi-­Platinum producer/songwriter Marc Mysterio has joined forces with Legendary Rock Act Crash Test Dummies and Mark Crozer on a new rock track to honor and benefit the refugees now descending upon Europe in search of their ‘Promised Land’. “These embattled families have crossed a good portion of the earth on foot seeking a better life for themselves and their kids -­ in search of their ‘Promised Land’ -­ and we wanted to dedicate this song to those who have made the trip, as well as to inspire others to never give up” notes Marc Mysterio, whom in 2013 produced and released ‘Booty On The Floor’ with Flo Rida to honor the victims of the Boston Marathon Bombing Victims lauded by media globally, including Celebrity Scribe Perez Hilton. ‘Promised Land’ marks the first new material release featuring Crash Test Dummies in some time, while their 90s hit ‘Mmm Mmm Mmm Mmm’ was remixed by Marc Mysterio earlier this year reaching the Top 100 on Beatport, and #1 on the Belgian ITunes Album Chart. You can watch a video for the song here. While the new song was written, composed and produced by Marc Mysterio, Mark Crozer whom recently had a globally successful recording ‘Live In Fear’ selected as the Theme Entrance Music for WWE Superstar Bray Wyatt recorded the guitar, bass, piano and drum tracks for ‘Promised Land’ while it was vocalled by Crash Test Dummies and Marc Mysterio himself, which marks his debut vocal appearance on a record for the famed DJ/Producer as well as in the rock genre. “Given the human factors present, I thought this was a great opportunity to use real instruments on a song about real people written by a group of real guys who want to help make a difference,” added Mysterio, whom has previously worked on records for stars such as: Flo Rida, Katy Perry, Natalie La Rose, David Guetta, Samantha Fox, and Daft Punk. Mysterio took the time to talk exclusively to LookToTheStars.org about the new track and what inspired him to team up with the Crash Test Dummies. How did footage of the refugee crisis make you feel? It was and is heart breaking! We should all be doing more to help these people that simply want an opportunity to live their lives in peace. What’s equally as bad is how these people are being treated by governments across Europe – being placed in camps akin to dog shelters where they’re fed like animals in Hungary, to being placed in jail like conditions in Ireland’s direct provision system. 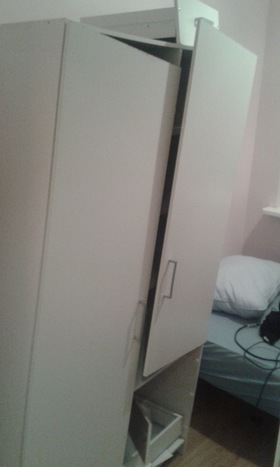 In a recent trip to Reykjavik, Iceland, a very rich country, I met a bunch of refugee asylum seekers there whom showed me their apartment they shared and this closet sized room one had to sleep in with nails sticking out of the wall near their bed and a make shift closet tilted over ready to crash on their bed – the authorities made no effort to even check on the premises before letting them move in – just tossed them keys and made them walk 2 miles in the snow there! Additionally, their legal advisors from the Red Cross were overworked that they were missing deadlines to file appeals for the refugees which they felt affected their chances to stay out of harm’s way. In a case there during my stay, a family was denied refugee status and their entire family – including a young child – were handcuffed, arrested, and returned to their country of origin that night escorted by police, while being refused the right to even appeal!!! Its truly a global crisis that needs more attention paid to it on all level – not just getting these folks to safety, but also treating them humanly upon arrival and organizations like the Red Cross need more donations as so to be able to afford more staff to deal amply with the crisis! What do you hope to achieve with the song? Sadly, the perilous journey is only half of the battle for these people and we need to make them as comfortable as possible – hopefully the song is one small step in that direction! First, to bring more awareness to the full scope of these people’s troubles, not only for their perilous travel, but the conditions they face upon arrival as well and that their goal is to simply seek protection and have a chance to ultimately work and raise their families without the threat of violence or persecution. Furthermore, the proceeds from the sales will go to benefit the refugees via the International Red Cross, whom is responsible in many of the affected regions for providing every day care to the refugees, including legal assistance. However, their resources are limited and strained based on the incomprehensible number of those fleeing their homelands for Europe and North America which is leading to chaos. We hope that the song will bring first bring attention to the crisis situation and living conditions these people are in upon arrival at a safe country, and also to inspire and remind others that although we all have our own idea of the ‘Promised Land’, that these people need our support not only on social media, but to get out and help with donations of clothes, money, etc. If our countries are truly ‘safe’ by international standards, they should be safe for everyone with a fair due process. 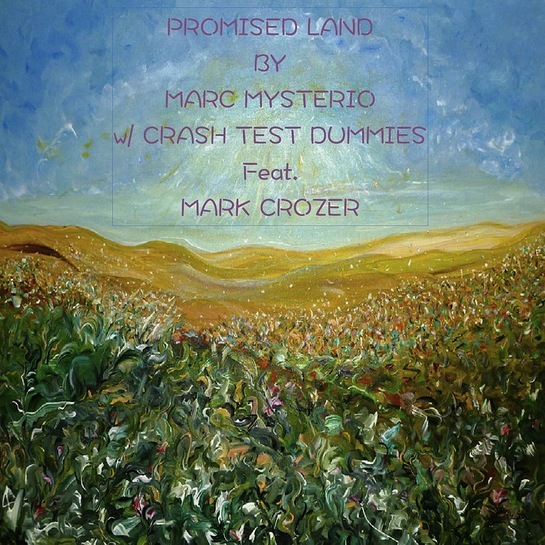 ‘Promised Land’ by Marc Mysterio & Crash Test Dummies ft. Mark Crozer goes on iTunes pre-­sale September 17th, and will be available on Spotify and ITunes Worldwide on September 25th with the proceeds from sales going to the International Red Cross.